We have voluminous warehouse that has loading docks to load and unload goods, well-maintained by the professionals. Our completely automated warehouse is sternly supervised to check that products are kept carefully. 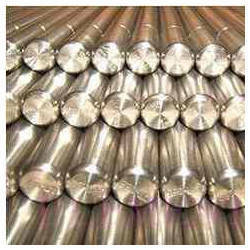 Buyers can approach us for acquiring top-of-the-line quality Titanium Round Bars at coffer-friendly prices! Titanium Round Bars have a sturdy metal body with a protective polish on the surface and are available in a quality packaging.